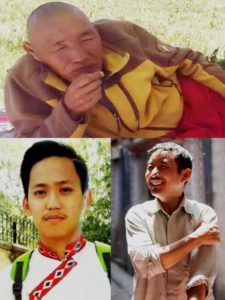 The three Tibetans who self-immolated between July and November 2017. Two were living in the exile community Tenzin Choeying (bottom left) and Pasang Dhondup (bottom right); one was from with Tibet, Tenga from Kham (top). The article continues Woeser’s ongoing commitment to document Tibetan self-immolators, both inside and outside Tibet, on her blog. She has also authored the 2016 book “Tibet on Fire: Self-Immolations Against Chinese Rule” published by Verso. In 2017, from March until November, seven Tibetans self-immolated and sacrificed themselves. And so, since February 27, 2009 until November 26, 2017, a total of 150 Tibetan self-immolated inside Tibet, plus another eight exile Tibetans, including 26 women. From what we know, 135 of them died, 129 inside and six outside Tibet. In terms of time, there was one case in March, one in April, two in May, two in July and one in November. 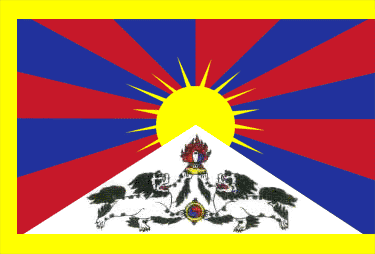 In terms of places, they occurred in the Kham and Amdo provinces inside Tibet and in India in the Tibetan exile community: In Nyarong, Kham (today’s Xinlong county, Kardze Autonomous Prefecture, Sichuan Province) one case, in Kardze, Kham (today’s Kardze county, Kardze autonomous prefecture, Sichuan province) two cases, Sangchu, Amdo (today’s Sangchu county, Kanlho Autonomous Prefecture, Gansu Province) one case, Chentsa, Amdo (today’s Chentsa county, Huangnan Autonomous Prefecture, Qinghai province) one case, Central Institute for Tibetan Studies in Varanasi, Uttar Pradesh, India, one case, Dharamsala, northern India one case. I have already published the information about the four Tibetans that self-immolated between March and May on Radio Free Asia. All of them were Tibetans from inside Tibet, including one monk, one middle school student and two farmers. They were all men. The oldest one was 30, the youngest 16 years old. Their names are: Pema Gyaltsen, 24 years, herdsman, unknown whether still alive; Wangchuk Tseten, 30 years, farmer, unknown whether still alive; Chagdor Kyab, 16 years, middle school student, deceased; Jamyang Losal, 22 years, monk, deceased. Photos of two of them showing them alive and well have been disseminated; another photo showing the scene of self-immolation of one person, including a very short video clip, was also disseminated. No last words or notes have been made public. We know that many local Tibetans have already been arrested. The local authorities dispatched a warning that if anyone used WeChat to send any information, pictures or videos related to self-immolations to anyone outside the country, they would be punished at least with a 15-year prison sentence. 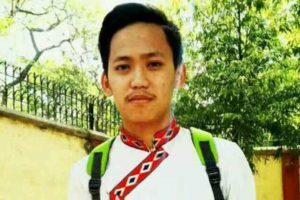 Of the three Tibetans who self-immolated between July and November, two were exiled Tibetans from India: Tenzin Choeying, 19 years, university student, deceased; Pasang Dhondup, 49 years, professional, deceased. One was Tenga from Kham, 63 years, monk, deceased. Student at the Central Institute for Tibetan Studies, member of the Tibetan Youth Congress, 19 years old. On July 14, 2017, just after 9 in the morning, Tenzin Choeying shouted out “Victory for Tibet,” “Free Tibet,” before setting his body on fire on campus. Other students who witnessed this immediately jumped in to extinguish the fire and take him to hospital. On July 21, he died from severe injuries in New Delhi. Tenzin Choeying was born in the Tibetan exile community in Kollegal in India. His father’s name is Khedup, his mother’s name Tashi Yangzom. He was the youngest of four children. A worker at the the Norbulingka Institute for Tibetan Cultural Preservation in Dharamsala in northern India. 49 years old. He was known by his name Dhondup. On July 29, 2017 at 3 in the afternoon, next to the prayer path around Jokhang Temple in Dharamsala, Pasang Dhondup set himself on fire and passed away on the spot. 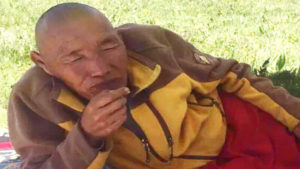 According to eyewitnesses, Pasang Dhondup shouted “Long Live the Dalai Lama”. Pasang Dhondup was from Gyantse county, Shigatse in Lhasa. He used to go to the SOS Suja school near Dharamsala and graduated from grade 10 (which is an equivalent of middle school). His father’s name is Yeshi Tsering, his mother’s name is Juna Lhamo. 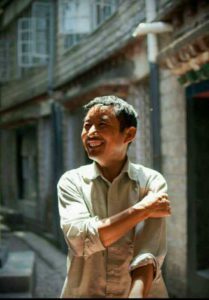 Before self-immolating, he had worked at the Norbulingka Institute for Tibetan Cultural Preservation in Dharamsala for five years. A monk from Kardze in Kham (today’s Kardze county, Kardze Autonomous Prefecture, Sichuan province), 63 years old. On November 26, 2017, Tenga set himself on fire in the streets of Kardze county town, shouting “Free Tibet.” Military police immediately extinguished the fire, took him away and cleared and closed off the site. All eyewitnesses were driven away. It is said that Tenga died on the same day, but whether his remains were returned to his family remains unknown. Tenga was from Damdo township, Kardze county, his parents have already passed away, he has three younger siblings, the economic situation of his family was relatively good. Originally, he was a monk at Kardze Monastery, but because of health problems he returned home to recover after several years at the monastery. He had profound knowledge of Buddhism and followed current trends. He was often called “Lama Tenga” because he taught fellow villagers Buddhist texts. After the self-immolation of Tenga, the local authorities disposed military police and took strict preventative measures, also monitoring his family members. Tenga was the third person to self-immolate in protest in Kardze county.